Resulting hires tend to want to do things the way they've been done for 10+ years, often with mediocre results, though not necessarily horrible results. I once heard that the definition of insanity was doing the same thing over and over and expecting the same results. I don't think these HR people were insane, so is there anything unexpected going on here? If you do something for 10 or more years, you learn the traditions of a business. Traditions and network matter, especially for well established and long lived business. On one extreme, I worked for Pacific Bell, they gave me an 11 page document that only had acronyms that I was required knowledge for the business. At the same time, those traditions can lead to stagnation and a lack of innovation. You may often hear the phrase "but that's how we've always done it" when any type of change is introduced. One CEO I spoke with made an interesting comment: "While the staff and even executives are hired with the industry experience requirement, look at how CEOs are hired". That's an interesting point. In energy, telecom, steel, semiconductors, and banking, you see CEOs almost always coming from within the exact same industry. In other technology, you may see CEOs, valued for functional experience, cross over to another technology area. Meg Whitman moving from eBay to HP and Eric Schmidt going from Novell to Google come to mind. Another CEO told me that HR departments can be either overwhelmed or lazy, leaving them to fall back on what's easy. He said that while some industry experience is indispensable, once a minimum threshold is met, the company culture, position goals, market culture, and personal attributes become more important. I've seen some recruiters who get it. One told me that in Finance, you often see people jumping from industry to industry all the time. Their functional expertise helps them understand and approach a variety of financial situations. Financing, deal making, and money management constantly changes, and once someone has the minimum industry understanding, their ability to creatively solve problems is paramount since the old ways may not work. The same should apply to sales and marketing. Great sales and marketing people understand that people, markets, and situations change. It's often a good idea to NOT do the same thing you've done for 10 years or even 5 years, as the market, people, and buying behaviors have changed. How do you hire? 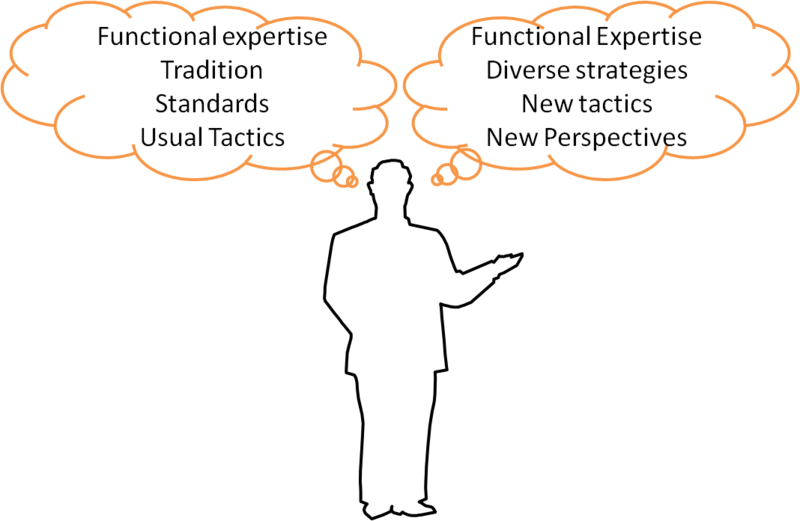 Do you fill a position or hire a functional leader?